In the 3rd test match between India and South Africa umpires called off the game because the pitch was “Too dangerous”. This is for the 3rd time in the history of test cricket that a match was stopped because of this reason. South Africa was chasing 242 runs target, but in the 9th over of their 2nd innings, an unfortunate incident took place. Here is the video. When Jasprit Bumrah delivered a bouncer to Dean Elgar, it hit the grille of his helmet. Inconsistency in the pitch and large cracks didn’t let bounce well. However, Twitter Indian fans are not ready to agree that pitch was “too dangerous” instead they say that it’s Elgar’s fault that he couldn’t judge the bouncer. Match Referee:how is pitch playing? 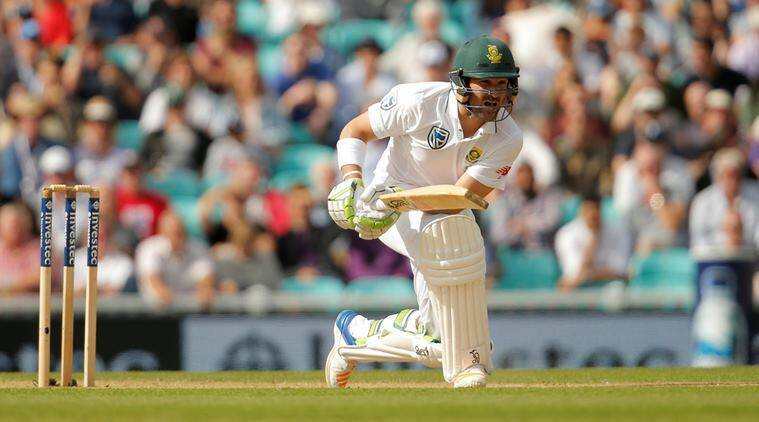 dean elgar: life is tough out there. You can't cancel a match because a ball "bounced more than Dean Elgar expected it to". Then we will have to cancel every match Shikhar Dhawan plays. Shami Bhuvi Ishant all played but Elgar can't. would love to be wrong here but seemed to me they or at least elgar was over playing the blows and diving and looking to call the physio at a snap. he might be tough but doesn't seem so today. Elgar was immediately given treatment; meanwhile the umpires had a discussion with match referee and called it off.